Sarah Austin started covering digital issues for Forbes’ San Francisco office in 2009. Her column originally appeared on the front page of Forbes.com. Today she writes frequent articles for Entrepreneur Magazine where her #1 article has 1,00,000 reads about Blockchain Technology and Crypto. Previously, Ms. Austin covered breaking news about the Web’s major players and Internet policy issues and also wrote feature articles on technology for Forbes. She has also hosted online video for the Forbes Video Network that originally appeared on the front page of Forbes.com. Currently she is co-founder and CMO of SONchain, the predominant blockchain technology in the Middle East and Northern Africa. Achievements: She launched her philanthropic scholarship program, CodingFTW, with the aim to get more teen girls involved with STEM and career development curriculum designed for inner city youth. She is on the board of the YMCA. 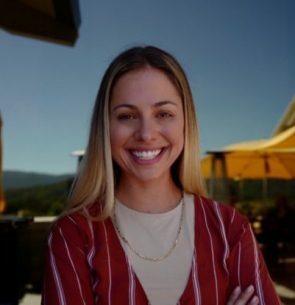 She is a graduate of Dominican University with a degree in Business Strategy, a certified Data Scientist from John Hopkins University school of Arts and Sciences, and was one of the first to complete Stanford’s New Media Program. Awards: She won SAP Hacker of the Year, 2013. Winner TechCrunch Disrupt, 2011; placed runner up in 2013. Winner, Sundance Film Festival Global Impact Award and Grand Prize Winner of Hackdance, Sundance Hackathon, 2014. Received the President of the United States White House Award for Outstanding Community Service, 2003, for her work bridging borders between Mexico and the US as an ambassador of goodwill.